The story was updated at 3:51 p.m. on May 16 with new information from Imperatis. The contractor hired to help the Office of Personnel Management harden and modernize its computer network went belly up. Imperatis Corp. stopped coming to work on May 9 and OPM terminated the company’s contract that same day. Imperatis had about a month of work left under the deal. OPM hired Imperatis in June 2014 under a sole source contract. Little is known about how much the contract was worth or for how long the deal was supposed to last. Sen. Claire McCaskill (D-Mo.) wrote to OPM acting Director Beth Cobert May 13 asking for more details on the IT project as well as the agency’s contract with Imperatis. 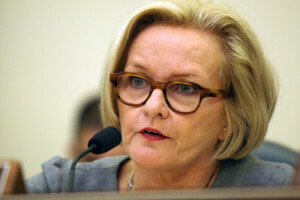 McCaskill is asking eight questions, including the current status of the IT project, the plan to replace Imperatis and whether the time it takes to hire a new contractor, if necessary, will put OPM’s data and network at risk of a cyber attack. She requested OPM provide a briefing to her staff by June 13. An Imperatis spokesman contacted Federal News Radio to offer a few more details about the status of the company and the project. NextGov first reported OPM’s decision to terminate the contract with Imperatis. The shell is a multi-year effort designed to modernize OPM’s network, applications and data center. As the news of major cyber breach OPM suffered last year became public, its contract with Imperatis came under heavy scrutiny by OPM’s inspector general and members of the House Oversight and Government Reform Committee. The IG said in a September 2015 management alert about the project there was confusion over Imperatis’ exact role in implementing the shell. The IG said in the alert that OPM is at a “high risk of project failure,” unless it writes a major IT business case to ensure it has the budget and project management tools it needs to finish the infrastructure plan. Rep. Jason Chaffetz (R-Utah), chairman of the Oversight and Government Reform Committee, followed with letters to OPM, Imperatis and DHS’s U.S. Computer Emergency Readiness Team (US-CERT). Chaffetz specifically wanted to know Imperatis’ role in the shell project as well as details about the contract. One major reason hackers were successful in taking the data of more than 21 million current and former federal employees was OPM’s antiquated infrastructure. OPM asked for $37 million for the shell program each of the last two years, but Congress rejected that request. Cobert told House Appropriations subcommittee members in March that the $37 million price tag is the result of months of discussions within the agency, where she and her staff revised pieces of the Shell plan. As for Imperatis, its website remains online, but there are no listings under its leadership section. From fiscal 2014 to 2016, Imperatis won 39 contracts worth more than $4.6 million, according to the USASpending.gov portal. Every award either came from the General Services Administration, through the IT schedule, or the Defense Department. There are no specific awards to Imperatis from OPM in the last four years.